Are you feeling a little fatigued now that the weather has cooled down? Finding it a little harder to get out of bed in the morning or really feeling that 3:00pm slump? 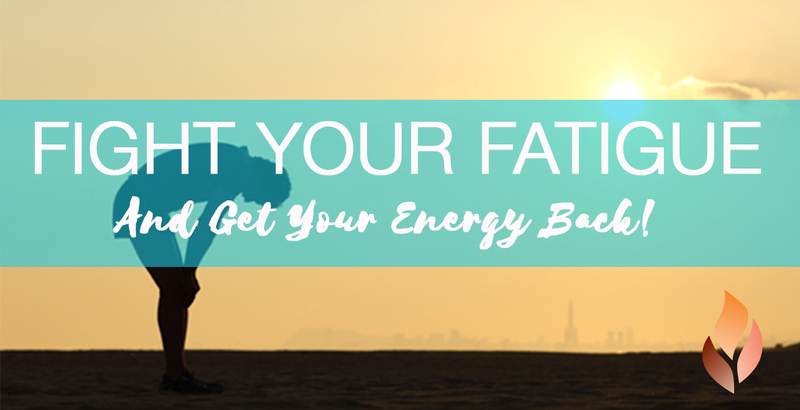 Did you know there’s more to the energy equation than just getting enough hours of sleep. Your unexplained tiredness can often be attributed to poor diet, lifestyle and mental health. The combination of moving, stretching, focus and breathing is especially effective for boosting energy. Yoga works to activate the parasympathetic nervous system, reduce stress, release emotions blocks and draws more oxygen into the body, which will leave you feeling more alert. Instead of reaching for that coffee in the morning, try just 15 minutes of yoga to get your day started. Unfortunately if you are breathing incorrectly, you may not ferry enough oxygen to your tissues, and that oxygen deficiency impairs energy metabolism and adrenals. Shallow breathing also allows toxic metabolic waste to build up in your cells, which can leave you feeling sluggish. It’s important to ensure you are sitting up straight and breathing slowly and deeply from your diaphragm, not your chest. For a deep breathing exercise, put your right hand over your stomach. Start by taking in a deep breath for 2 seconds. Then slowly breathe out for 4 seconds. Repeat for at least one minute until you feel rested. In an ideal world we should be aiming 8 hours of restorative sleep in per night. If you are struggling to get these hours in, it is important to ensure you are getting quality hours of sleep for the time you are resting. If you struggle with getting enough Zzz’s, or slipping into a deep enough sleep try steering clear of technology after hours; take a warm bath, practice your breathing exercises or try our Magnesium night supplements which helps to improve the quality of your sleep. Endurance athletes are taught to eat and drink whenever they’re hungry or thirsty. A wise idea since otherwise the body can go into starvation mode, which actually slows metabolism and makes you feel tired. Healthy snacking keeps your blood sugar regulated so you’ll maintain energy levels and a healthy waistline. Fiber and protein are a winning combo since protein gives you energy and fiber helps make the energy last. Caffeine can be used as a short-term fix for increasing your energy levels however it has long term effects on your adrenal glands and once the caffeine hit has worn off, you’ll actually find yourself feeling more tired than you were before. Energy will come to us naturally when our bodies are well-rested and well-fed. Proper rest, exercise, and adequate nutrition will decrease our need for caffeine. Energy will be natural and not “hyped”. Try ditching the caffeine for a month and see what happens. Dehydration is a common cause of fatigue and often looked over. Keep yourself hydrated all day by keeping a bottle of water with you at all times. This is so much more effective in the long term than drinking coffee or other highly caffeinated drinks and has great benefits for not just your energy level but your overall health and appearance.